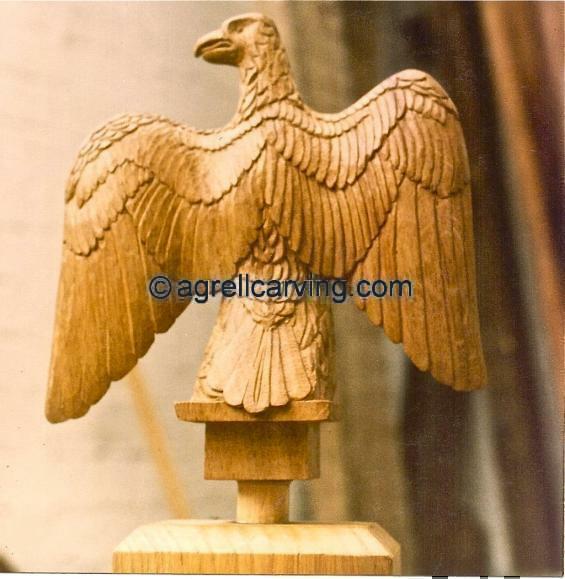 AAC Animals Bird Eagle military standard British 3 Agrell woodcarving. Description: Carved wood, Standard British Military Eagle. Carved by Agrell Architectural Carving. Read more about Carved Wood Eagle.